Gilbert H. Sosa, 75, of N. 3rd Street, Carlsbad, New Mexico, passed away Thursday, October 25, 2018 at Carlsbad Medical Center. Visitation will be 4:00-6:00 PM, Tuesday, October 30, 2018 at Denton-Wood Funeral Home. Funeral services are scheduled for 2:00 PM, Wednesday, October 31, 2018 at Word of Life Church with Pastor Daniel Shirley officiating. Cremation will take place following the service. Denton-Wood Funeral Home is in charge of the arrangements. Gilbert H. Sosa was born January 15, 1943 in Carlsbad, New Mexico to Manuel and Tomasa (Hernandez) Sosa. He attended school in Carlsbad and married Nazaria Ruiz November 7, 1961. They moved to California in the mid-60s and returned to Carlsbad in the 90s. Gilbert worked as a machinist and carpenter most of his life. He enjoyed fishing and listening to Elvis. His grandchildren always brightened his day. 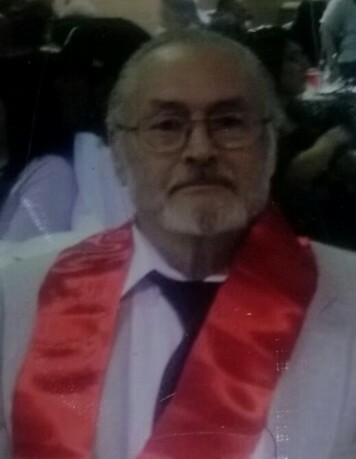 Gilbert was preceded in death by his parents; wife, Nazaria Ruiz Sosa; brother, Johnny Sosa; sisters: Petra Tovar, Margie Valenzuela, Josie Martinez and Olivia Sosa. Survivors are his children: Pauline Olivarez, Gilbert Sosa, Jr. and wife, Sandra, Priscilla Gonzales and husband, Joe, Peggy Mendoza and husband, Thomas, Naomi Smith and husband, Ronald and Michael Sosa; 29 grandchildren; 31 great-grandchildren; brothers: Ernie, Ruben, David and Joe Sosa; sisters: Sally Martinez, Vera Salisbury, Delia Doporto, Velma Lopez and Yolanda Deleon and numerous nieces and nephews.